Dr. Cynthia Schaffer received her Master’s degree in Communication Disorders from California State University, Long Beach in 1989. She completed her graduate internship at the renowned House Ear Institute in Los Angeles. She worked with a large Speech and Hearing clinic for 5 years where she specialized in working with senior citizens. She then went to work for a major hearing aid manufacturer as a Custom Product Design Specialist, aiding in the production of non-standard and specialty hearing aids. In 1996, Cynthia and her family moved to Raleigh, NC and she began working with Dr. Grady Thomas at North Carolina Audiology Associates. In the year 2000, Dr. Thomas retired and sold the practice to Cynthia. While working, she returned to school and received her Doctor of Audiology degree from A.T. Still University in 2002. She has special interests in hearing rehabilitation, cognition, and aging, as well as educating the community about hearing loops for greater accessibility among the hard of hearing. Dr. Schaffer is a Licensed Audiologist in North Carolina, certified by the American Board of Audiology, and is a Fellow of the American Academy of Audiology. 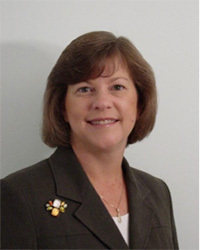 Pam completed her undergraduate degrees at NC State University in Raleigh, and she received her Master of Science in Audiology from UNC Chapel Hill in 1993. One her first positions fresh out of graduate school was that of an Audiologist at Associated Hearing Services, which later became known as North Carolina Audiology Associates. Pam enjoys providing hearing care to both adults and children. She is a North Carolina state licensed Audiologist, holds a Certificate of Clinical Competence from the American Speech-Language-Hearing Association, and is a Fellow of the American Academy of Audiology. She is also certified by the American Board of Audiology. Lorna came to North Carolina Audiology Associates in 2009, shortly after graduating from ECPI University and becoming a Certified Medical Assistant. Lorna has worked very closely with Dr. Schaffer to obtain many of the skills necessary to help patients with their hearing aids. She is highly skilled in minor hearing aid repairs, such as cleaning, tube changes, and battery door replacement. She is also knowledgeable on many of the assistive hearing devices available. She is ready to provide compassionate assistance for appointment scheduling, insurance questions and billing matters.